← Is this why Serena Williams had a major meltdown at the 2018 US Open? Here comes Flo! Will the geoengineers hijack Hurricane Florence and further intensify before directing its into a targeted coastline? 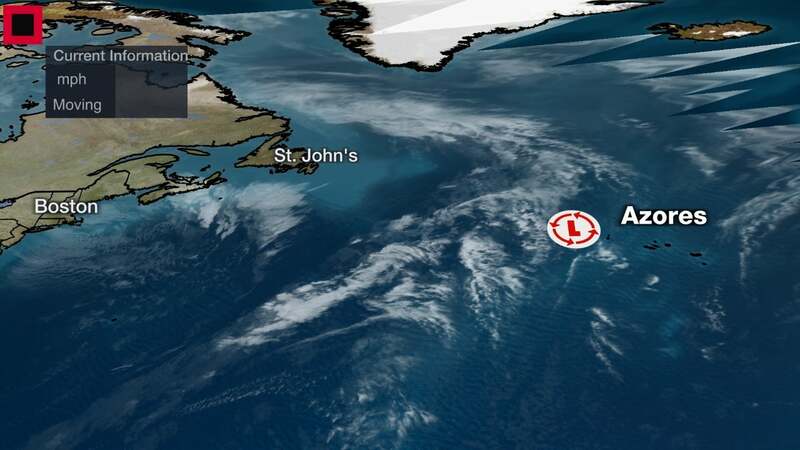 This enhanced satellite image made available by NOAA shows Tropical Storm Florence, center, in the Atlantic Ocean on Saturday, Sept. 8, 2018. TMR Editor’s Note: The distinct geoengineering pattern of manufacturing superstorms has been well established many years ago. First grab a naturally created Tropical Storm and amp it up into a Cat 5. Then direct it into a chosen area where the fear-mongering and engineered chaos will best serve the NWO agenda of the power elite. Then there is the ongoing election rigging that’s inexorably taking place below the radar. There’s no better way for Deep State to implement that covert scheme than to distract everyone concerned from the scene of the crime. Yes, election theft is a crime, as is voter fraud. Clearly, the 2018 midterms will be the most stolen in U.S. electoral history. Bottom Line: Things are about to get very interesting indeed! The unparalleled convergence of powerful forces and array of combustible conflicts are more numerous than ever. It’s as though everything has been set up for this very moment so that a much-needed resolution can take place. KEY POINTS: The New World Order globalist cabal has been weaponizing the weather for decades. In fact, with the exception of 9/11, the most deadly and destruction acts of false flag terrorism on American soil have been those inflicted by way of weather weaponry. It’s much easier for the geoengineering perpetrators to get away with these false flag attacks because they can easily blame the seasonal weather catastrophes on their fake Global Warming scam. In this manner, Full-Scale Weather War Is Being Waged Against North America whenever Deep State needs a major distraction or want to send a message like they did with Harveygeddon. See: HARVEYGEDDON: Who geoengineered it? And why now? The bottom line is that weather warfare is the wave of the future. After all, the globalists can destroy a major metro area without anyone but a very few knowing that it was a false flag weather attack. What better way to advance the New World Order agendas such as Agenda 21, 2030 Agenda for Sustainable Development and Vision 2050. The ravages of full-scale weather wars are then misrepresented as consequences of Global Warming (CO2 hoax) to push various depopulation schemes. N.B. 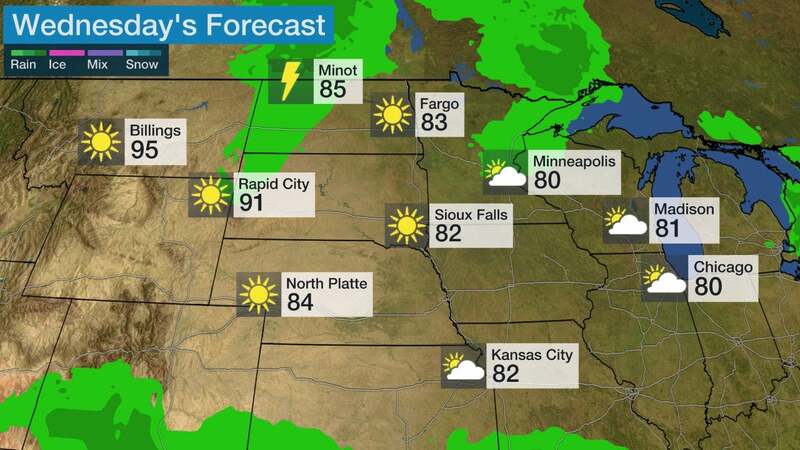 See The Weather Channel’s latest report below. Meteorologist Domenica Davis gives the latest update for Hurricane Florence as it makes it’s way towards the Southeastern United States. Florence is rapidly intensifying after regaining hurricane strength on Sunday. A strike on the U.S. East Coast is now likely Thursday. Tropical storm force winds may arrive as soon as Wednesday night. Those in the path of Florence should have their hurricane plans ready to go. Massive inland rainfall flooding is also expected from Florence lingering into next week. Florence is also generating dangerous surf and rip currents along the East Coast. Hurricane Florence is now rapidly intensifying southeast of Bermuda, and is likely to lash the East Coast later this week with life-threatening storm surge, destructive winds and massive inland rainfall flooding in one of the strongest strikes on this part of the East Coast on record. Thie time is now to develop or firm up your hurricane preparedness plan, and be ready to implement it if necessary, if you’re in the potential East Coast threat zone. As of Monday morning, Florence was still more than 600 miles southeast of Bermuda, moving west-northwest. Conditions in the atmosphere and ocean, including decreased wind shear and warm sea-surface temperatures, have improved, and should allow Florence to rapidly intensify into a major hurricane – Category 3 or stronger on the Saffir-Simpson Hurricane Wind Scale – later Monday. This is the second time Florence has underwent rapid intensification, doing so also last Tuesday and Wednesday, before wind shear weakened it, temporarily. Florence is already generating swells that are affecting parts of the U.S. East Coast. Swells are also propagating to Bermuda and north- and northeastward-facing coasts of the Lesser Antilles, Puerto Rico, Hispañiola, the Turks and Caicos and the Bahamas. These swells will produce life-threatening surf and rip current conditions at these beaches. While there still remains some important uncertainty in the precise track of Florence, a destructive strike on the East Coast is now likely. The key to Florence’s path hinges on the strength and westward extent of a dome of high pressure aloft, which is developing and will strengthen north of Florence over the western Atlantic Ocean Monday and Tuesday. That bullish high-pressure ridge is expected to be strong enough and far enough west to push Florence to the Southeast coast. Where Florence turns northward around the western periphery of that high-pressure system will determine what part of the coastline experiences the worst wind and storm-surge impacts typically near the eye. The National Hurricane Center is forecasting Florence to be a major hurricane (Category 3 or 4) when it arrives at the Southeast coast Thursday. Here is what we know right now when it comes to Florence’s track timing. Keep in mind that all of this is subject to change in the days ahead, so check back for updates. – Timing: The peak impacts from Florence are expected to arrive on Thursday. According to the National Hurricane Center, tropical storm-force winds may arrive as soon as Wednesday night, but most certainly by Thursday morning along the Southeast coast in the general area of the forecast path. Impacts from Florence, particularly heavy rain, may continue into next weekend or early next week, if it stalls out for a time, as suggested by forecast guidance. – Locations Potentially Affected: Areas from southeastern Virginia to the Carolinas are most likely to see the first impacts from Florence. As mentioned earlier, it’s too early to nail down specific impacts for this stretch of coastline. Also, this could change depending on future forecast trends for Florence’s track. For this reason, locations farther south, such as Georgia and even northeast Florida, and farther north into the mid-Atlantic should also monitor Florence for any forecast changes. Typical for this far out in time, we cannot pinpoint exact areas that will see the worst impacts from storm surge, wind and rainfall flooding. However, some potential impacts are coming into a bit more focus. – Coastal Impact: Assuming there is a landfall, which seems likely, a destructive storm surge will accompany the eye coming ashore Thursday, highest to the north or northeast of where the center comes ashore. Large, battering waves will ride atop this surge. Significant beach erosion is also likely on the southeastern U.S. coast. – Wind Impact: Numerous downed trees and long-lasting power outages could occur near and inland from where the center of Florence strikes. 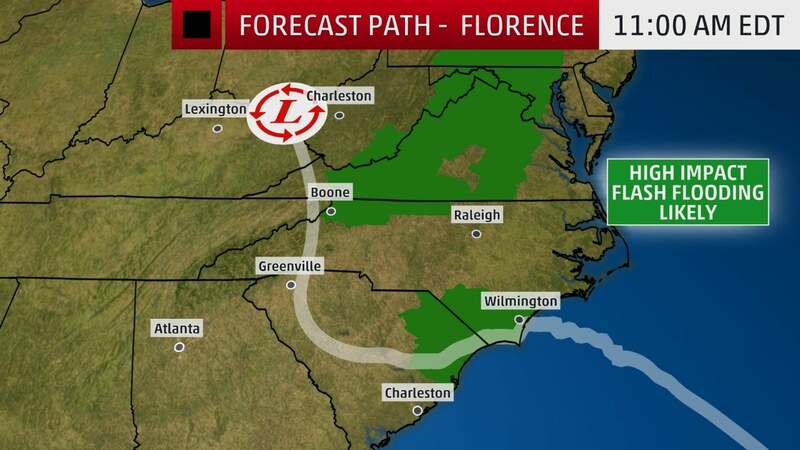 This threat of tree damage and power outages may also extend across Florence’s larger swath of tropical-storm-force winds. Structural damage to homes and buildings is possible, particularly where the core of any hurricane-force winds moves through. – Rainfall Impact: Florence could not only produce heavy rain along the coast, but also farther inland across the Carolinas and mid-Atlantic. That heavy rain threat may last for days if Florence stalls out into next weekend or early next week, as suggested by some forecast guidance. If that stall occurs, disastrous flooding could occur in some areas. See the link below for more information. 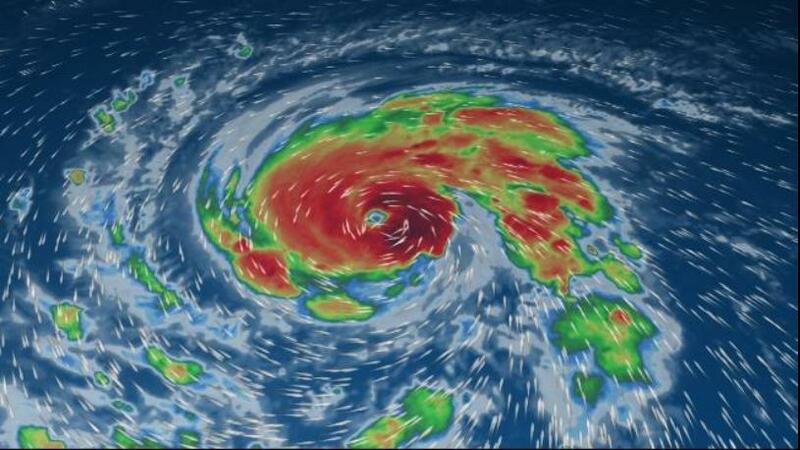 Check back with weather.com over the next several days for updates on Florence’s forecast.